The aim of the short course is to give you a ‘taster’ of the Introductory Certificate in Business Analysis (ICBA) course and exam from Business Analysis International Qualifications (BAIQ), as well as what it is like to undertake postgraduate study via Online Education with Charles Sturt University. This course was developed by Brenton Burchmore. Brenton is our senior industry-based lecturer and course designer for business subjects. With over 20 years of industry experience, Brenton has overhauled and implemented systems, processes, procedures and software using business analysis techniques and methods. He now brings this practical BA experience to our Introductory Certificate in Business Analysis Short Course. Will this short course fully prepare me for the Introductory Certificate in Business Analysis (ICBA) from Business Analyst International Qualifications (BAIQ)? No — it is not possible to cover the full curriculum of the certification during the short course but a discounted package of self study and exam voucher will be available for purchase at the end of the course. 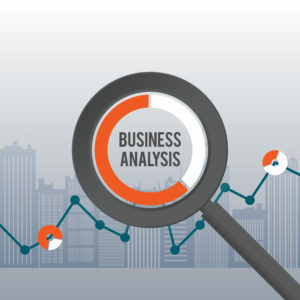 What are the employment prospects for Business Analysts? The job market for Business Analysis has expanded rapidly since the International Institute of Business Analysis™ (IIBA®) was established in Canada in October 2003 with IIBA membership in 2015 growing to 29,000 members in 115 chapters on 6 continents. The Australian Government Job Outlook website predicts that there will be very strong growth in the number of ICT Business and Systems Analysts in the next 5 years with the total numbers employed in the sector projected to rise from 25,900 in 2014 to 30,900 in 2019. Finally, a search for Business Analyst on the www.seek.com.au website shows that in June 2016, there was 1,472 vacancies for Business Analysts.